We bought this Natural Mogok ruby in a parcel of stones from a Mogok miner who finds some great rubies. This rubies 'Big face,' makes it ideal for a ring or other jewelry. The emerald cut rectangle shape is eye catching and unusual for a natural ruby compared to the more used mixed cut. 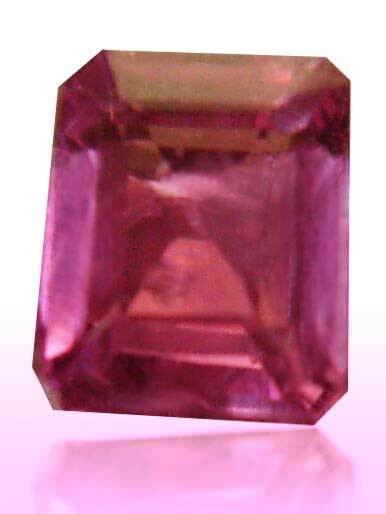 Your dream red may well be the vivacious color of this Burmese ruby with great luster. Approximate dimensions are as follows: 6 mm length x 4.5 mm width x 2.5 mm deep, weight is .86ct. This ruby comes with lab a copy of the gem identification / origin report. If you were born in July, ruby is your special birthstone however ruby jewelry is a universal favorite. The color red is associated with the universal feeling of love and passion, so it's no wonder that ruby jewelry has always been in demand.